2 family adventure, fan-favorite sailings are back on Disney Cruise Line sailings from January – March 2019. Fans of all ages of Star Wars and the Marvel comic book heroes and villains can escape on an epic adventure at sea in 2019. 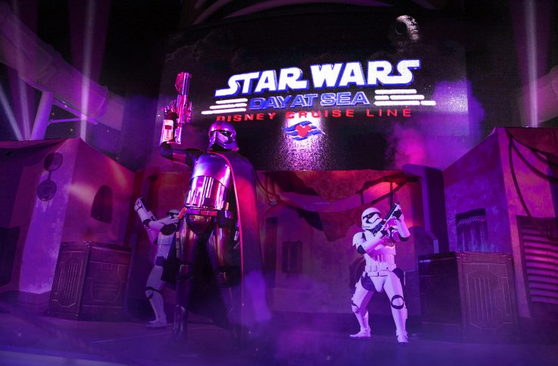 Two Disney ships, sailing Caribbean and Bahamas itineraries, will be host to Star Wars Day at Sea and Marvel Day at Sea. 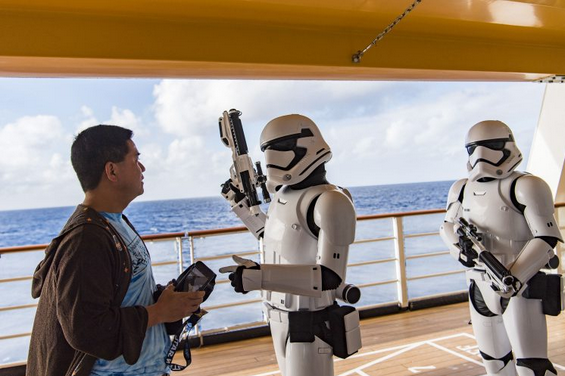 You and your family will be transported to the Caribbean… and a galaxy far, far away. It's a day long celebration unlike any other! Celebrate the legendary adventures and iconic characters from the Star Wars saga with Jedi, Wookiees, droids, Stormtroopers and others. You'll never forget the full day of Star Wars activities including a deck party spectacular with an extraordinary fireworks display, encounters with the galaxy’s most formidable and heroic characters, Star Wars-themed family and youth activities, unique food and beverage offerings and special merchandise. Disney Fantasy: 9, 7-night Caribbean Cruises from Port Canaveral, Florida. Western Caribbean Itinerary: calls in Cozumel, Mexico; George Town, Grand Cayman, Falmouth, Jamaica and Disney's private island in the Bahamas, Castaway Cay. Eastern Caribbean Itinerary: calls in Tortola, and St. Thomas in the Virgin Islands, and Disney's Castaway Cay. Spend an unforgettable day at sea… and immersed in the Marvel universe! 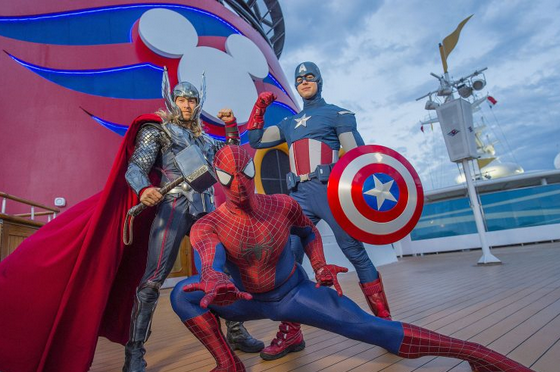 Renowned Marvel comics, films and animated series come to life on these special Disney Cruises. Summon your inner Super Hero for adventures with the largest collection of Marvel Super Heroes and Villains assembled on a cruise ship. Disney Magic: 10, 5-night Caribbean cruises from Miami, Florida. One Western Caribbean itinerary includes George Town, Grand Cayman and Disney’s private island in the Bahamas, Castaway Cay. Departing Feb. 3, Feb. 17 and March 3, 2019. LET US HELP YOU MAKE EPIC MEMORIES FOR THE WHOLE FAMILY!